We offer a full range of push-pull cables and controls that provide a means of transmitting linear motion from one location to another. They offer ease of installation as well as superior performance. Our push-pull control cables are available in (U) Ultra Light Duty, (V) Very light duty, (L) Light duty, (M) Medium duty, and (H) Heavy duty. 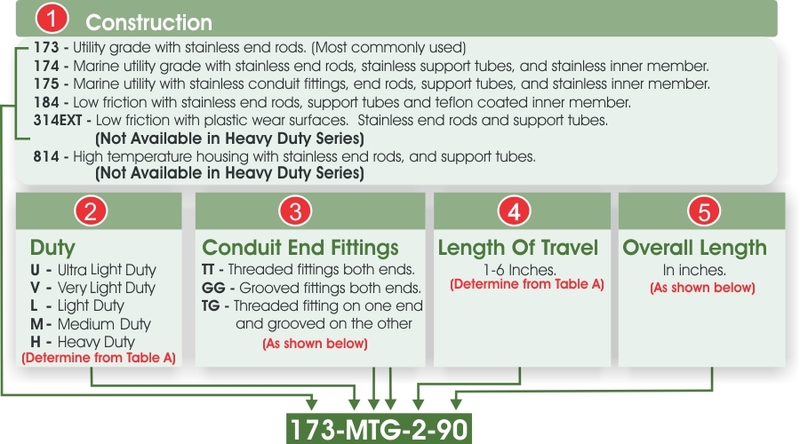 Cable construction options include utility, marine, low friction, and high temperature grade, with standard threaded or bulk head end fittings. Implement control, throttle control, PTO, 4 wheel drive activation, valve actuation, remote battery disconnect, remote electrical disconnect, transmission shift, hydro static drives, latches. Click on the links below to browse our custom ordering sheets.